The Rush Medical College Alumni Association serves alumni of both the college and Rush’s Graduate Medical Education programs. The association offers you access to a network of Rush-trained physicians, engaging events and volunteer opportunities, and a chance to connect with today’s remarkable students. Read the Year in Review to learn more about the association’s work on behalf of the alumni community. Nominate an alum for the RMCAA Executive Council. The association’s Executive Council works to prioritize and strengthen these areas. Our association leaders represent both Rush Medical College and the Graduate Medical Education programs at Rush. These council members are nominated and elected by alumni biennially. In 2013 the Executive Council developed a three-year business plan to help guide its efforts. 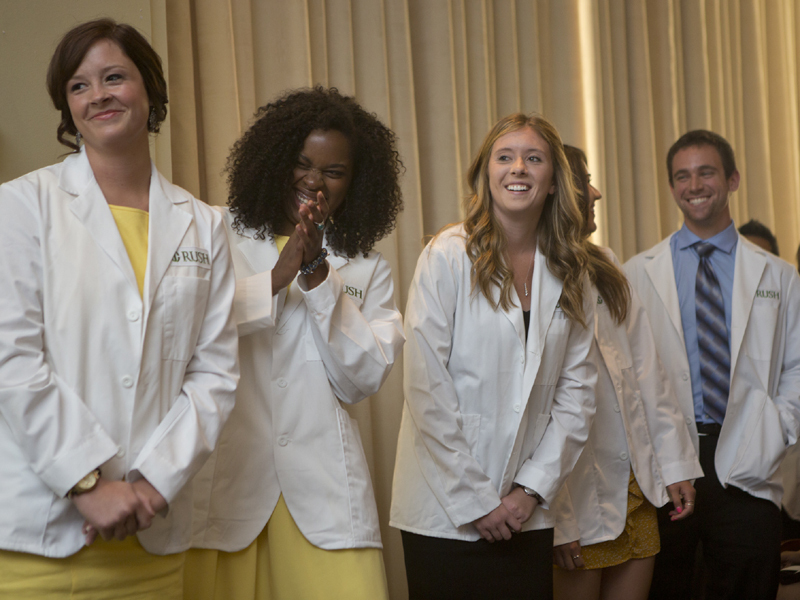 The plan has already yielded great success, including the creation of a legacy admissions process, increased participation in funding for the White Coat Ceremony, and the building of a Reunion volunteer and giving program. Stay tuned for updates on the business plan throughout the year. Looking for more Rush alumni information?